I’m going to start this post by saying it is a bit of a filler, I tell it because I need to show where I was at both emotionally and in my thinking to get to the next stage of our journey. By the end of this week (around 16 days after Liam had died) we looked into going away. It is something that I am since told that lots of couples do after they lose a baby, they try to go away to make the world “right” again, to “forget their worries” and learn to enjoy life. We went to a travel agency and tried to decide where we would like to go, we thought of Fiji, Port Douglas and then New Caledonia and we thought that the last option was the best choice because it wasn’t too long a flight. As Ryan is the organiser of all our holidays (I just tag along for the ride and enjoy whatever happens) I let him do most of the decision work with the travel agent. I remember the agent asking us when we would like to go, and we responded that weekend (about 3 days away) and she was shocked, ‘Sudden annual leave?’ she looked at Ryan and posed the question, and Ryan looked at the ground and said that our son had just passed away and we wanted to get away. We were there for quite a while and I ended up sitting on the ground with Alethea playing with the token box of toys that were there. By the end of what seemed like a long time, the travel agent gave Ryan the quote, it was for many, many thousands of dollars. Ryan looked at me questioning if it was ok and I told him to go ahead and pay the deposit (I don’t think we could pay it in full because a few things needed to be checked by the agent), and then I had a second thought…we needed to see my obstetrician for a follow up appointment the next day, and I was unsure whether he would say it was ok to go, I was unsure whether I would even be allowed to swim, so we said to the lady that we would check with the doctor and get back to her the next day. In the car on the way home reality hit me and I realised that even if we did go away, the pain that we had was here to stay, it wasn’t going to magically disappear just because we were away, I really wasn’t in the mood for cocktails by a pool, I didn’t want to run into “babymooners” and when I really thought about what the holiday would be like I realised that we would be paying a whole lot of money and not enjoying any of it, so I said to Ryan that I didn’t think that now would be the best time for us to spend all this money if we weren’t going to enjoy our time away, and he looked at me and agreed. We did however decide to head up to Nelson’s Bay. Ryan’s parents have a house up there that overlooks the water and we realised that if we didn’t enjoy being away there, then we hadn’t spent any money so we wouldn’t have missed out. That afternoon a beautiful friend of mine stopped by to do a food “drop off” for us (actually it is only recently that I have found out that some of my friends had been constantly ringing each other asking what the other had done, had they made food and if so what, and how did they leave it, were they meant to knock on the door and give it to us or were they meant to just leave it on the doorstep, and I feel for them, it really is such a tricky, horrible situation to be in, it was a first for all of us and really none of us knew what was appropriate…even me!) anyway today was Ella’s turn to do a food drop off, she knocked at the door and I opened it she handed me some potato and leek soup with bread rolls and a treat for Alethea. She took one look at me and her nose went red and her eyes watered up, I could tell she didn’t want to break down in front of me or Alethea, I asked if she would like to come in, to which she responded that she couldn’t as the kids were in the car and I told her that they could come on in as well, Alethea would enjoy playing with them, but she shook her head and her hand, barely able to speak, and she was gone. I returned to the kitchen a little bewildered at such a quick visit, to where Ryan was and he asked who was at the door, I relayed what had happened and we both had a little chuckle about how quickly she had come and gone and we both had a chuckle about how much courage she would have had to have before she came and how she had probably been psyching herself up all afternoon to come to the house of the friends with the dead baby, such a surreal, mind boggling thing to know that your baby is dead and that your friends are feeling horrible for you, and there is no precedent on what they should do or how they should act, but knowing that they were grieving with us, thinking of us, and wanting to help us was all that either of us needed. The next day I had an appointment with my obstetrician; this was the appointment when he was going to tell us all the results from the many blood tests that he had ordered. By this time I was quite angry at my OB, I had time to think things over and I was a little distressed at the time that it took to get Liam out after the decision was made to do a C section, and I had remembered a lot of friends and family who had previously had emergency C sections and their babies had been out within 20-30mins, so I gave Ryan a list of questions that I wanted answered (I can’t remember most of them) because I thought that being there I would be too cross to speak or just an absolute mess and would just break down, so I relied on my rock to hold it together and do the talking for both of us. There were a few more questions which I can’t remember, but I looked at all the questions above and just shook my head, no there was nothing funny at the moment, yes I blamed myself for everything that had gone wrong, I had hardly been sleeping and I had felt sad and miserable and yes the thought of harming myself had occurred to me, I looked at this form and couldn’t fill it in, with tears in my eyes I shook my head and pushed to piece of paper back over the counter to the secretary. I’m not even sure if she knew that my baby had died, maybe she only knew that I’d had a baby and after anyone has a baby this is the form that she automatically gives them. I sat down with Ryan and waited my turn to be called in. There was 1 older lady there for a gynaecological appointment then 2 other pregnant ladies in the room, each would have been ready to give birth within the next couple of weeks and I just sat there shaking my head, not wanting to be there. Finally our turn came and the Dr called “Ryan , Amanda come on in” and he outstretched his arm to let us through and I cringed at the thought that my shoulder might brush his hand as space was limited. We sat down and I looked at the floor with tears of anger and pain gently rolling down my cheek as the Dr asked ‘how are you going’…such a throw away comment that is asked each time you enter and I looked up at him defiantly glaring daggers, how do you think we are going. He got the hint ‘Wrong question to ask I suppose’ He looked at his computer and brought up the results of all the blood tests I had. ‘Everything has come back normal except your bile acids were slightly high, they were 7, high bile acids are one of the markers for still birth, were you itchy before having Liam?’ he asked. Now, as I have previously mentioned a while ago I worked in the NICU and also in the antenatal ward as a pharmacist, I had seen patients who had high bile acids in the antenatal ward, I had seen how high their bile acids got to…and I wouldn’t class 7 as being particularly high, I have also seen how itchy these women are, they are unbelievably itch y night and day and from memory we used to give them ursodeoxycholic acid or cholestyramine to bind the bile acids and I am pretty sure we were more concerned when the bile acids got beyond 10, but if they approached 40 then they looked at delivering the baby early….but that is only from memory of around 6 years ago. I have always had skin that is on the itchy side of normal, it is just really sensitive skin, it reacts with changes in season and heat/humidity but I hadn’t been itchy before I had Liam. No, no, no there was no way I was going to let slightly high bile acids be the cop out reason for why Liam wasn’t here, so I expressed my thoughts above to the obstetrician, while Ryan looked a little bewildered by our slightly medical talk. Back to my anger, head down, daggers wanting to escape my eyes. Ryan asks the question that I have been waiting for ‘What took so long’ and the Dr looks at us, and Ryan explains further, ‘you see I drove my sister to the hospital when she was in labour and she required an emergency C section, and her baby was out around 20mins after arrival, what took you so long to get Liam out, it was well over an hour’ the Dr again looks at us and shakes his head and says ‘I don’t remember any obvious delay, from the time I got there I was arranging theatres and getting you ready I don’t remember it taking that long, I remember doing everything as quickly as I could with no obvious delay’ I wanted to yell and scream that I thought it had taken well over an hour, did he think this was acceptable? However I was so angry I couldn’t get any words out. Ryan and the Dr did some back and forth questions and answers, but I can’t remember what they were. We left the surgery non the wiser to the reason why we had lost our precious little boy, all my results were fine, the placenta was fine, the umbilical cord was fine, everything was perfect, except our baby was dead. We had been anticipating this day for the last couple of weeks, this was the day that we were to know what exactly went wrong…and there were no answers for us. It was Friday and Alethea had been at day care but while we were in at the Dr her childcare had called and said she needed to be picked up immediately because she had conjunctivitis so I had asked Ryan’s mum to collect her. Where I work was only a couple of Kilometres from the Dr’s practice so we headed there to say hello to the girls, it was morning tea time so I sat down for 5 mins for a chat, I remember sitting at the table and as I had previously had 4 miscarriages the comment was made that ‘At least you know you can have one, after all this time you know that you can have another one’ I nodded politely, but inside I was screaming “I don’t want another one, I want HIM, he is MY baby and I want HIM back” at that stage the thought of having another one hadn’t even entered into my mind. While I was there I also needed to know what was happening with my maternity leave, now that I didn’t have a baby was I expected to return to work…oh God I hoped not, I was barely capable of saying my own name, let alone dealing drugs out to people! I was informed of the forms that I needed to hand into the management and they told me that I was able to take my maternity leave. The next day we headed up to Nelsons bay, the drive didn’t take too long, we gave Alethea Ryan’s iPad to play Mickey mouse clubhouse, which she played for the whole 3 hour trip. While in the car I was able to cry, Alethea couldn’t see me and I was able to let silent tears fall down my face, and I had often done this since Liam’s death. On this trip the tears fell a lot, and Ryan kept putting is hand on my knee giving it a gentle squeeze to tell me that he knew what I was thinking, he knew how I was feeling, and he loved me…. “Liam’s death is not my fault” When we hopped out of the car I said to Ryan ‘How am I ever going to be able to think of anything else ever again, we have just spent 3 hours in the car and I had absolutely nothing to say, I have no small talk in me, I can’t even talk to my own husband’ Liam’s death to me was still all consuming, he was my everything….and Ryan’s response was ‘Well I need to get better at conversation and small talk then don’t I’ which brought a smile to my face! I can’t remember everything that we did at Nelson’s bay, I know that we went to the park lots, and I know that Alethea used her scooter a lot near the Marina, lots, I remember on the first day when we were at the park, there were about 8 other children playing there, there was 1 lady sitting breastfeeding a baby that looked about 3 weeks old (the same as what Liam would have been) and out of the 8 children there was a boy about 9 called Liam and there was a boy about 2 called Liam, and while we were there a young lady happened to be walking by and as she did her phone rang and she answered it very excitedly and she said ‘I can’t believe she’s had the baby, is it a girl or a boy…I knew it would be a boy.’ I just stood there dumbfounded for goodness sake would SOMEONE give me a break, how can there be 2 Liam’s right here, out of only 8 kids, how is this lady breastfeeding a baby Liam’s age, how has someone else just given birth to a healthy baby….how does this happen. My eyes were just large and stared out at the boats, I had to walk away from the park, I couldn’t handle being there, I couldn’t handle my life, I hated my life, how had it come to this PLEASE, PLEASE could someone just give me a break, that was a really low day for me, a day that I still look back on and shake my head in disbelief. 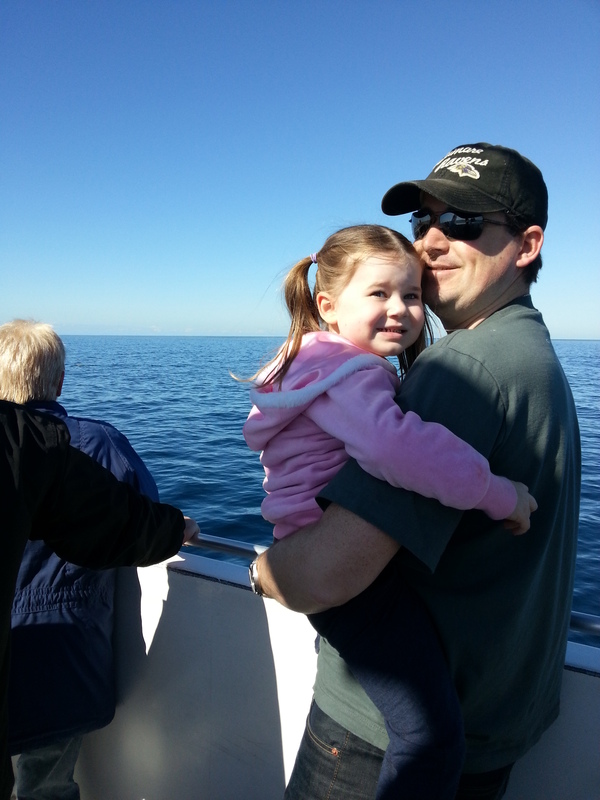 While we were at Nelson’s bay we went whale watching, we travelled for ages, it was nice just floating in a boat out on the water, after about 1.5hrs the captain came on the speaker and said that they had had their first miss of the season, there were no whales to be seen and I thought just our luck, we had told Alethea that we were going to see whales and now there were none, we had told her she would have a baby to care for and she didn’t, soon she would have no reason to believe anything Ryan and I were saying, and literally just as he said it he said ‘hang on we have found a whale’ relief washed over me as the boat headed towards the whale. We had been sitting outside up the top of the boat, and everyone went to the front to see the whale, there was silence as people took photos of this whale breeching and playing in the water, and in the silence a little girls voice yelled with excitement as I held her ‘Daddy, daddy look there is a dolphin!’ the people on the boat giggled at her comment and I whispered to her that it was a whale not a dolphin and while all was silent, at the top of her voice she yelled ‘Daddy it’s not a dolphin it’s a whale, look daddy can you see the whale’ her excitement made my day, her love for life made my day, her love for her daddy made my day. After we had been watching the “dolphin” for around 20mins of pure delight the boat left and started to return to the marina and my phone rang, it was one of my best friends from university Jo, she had rung or texted a couple of times before but I had not been strong enough to talk to her, but today I felt like I could. I went down a flight of stairs to where there was no-one and began talking to her. She asked me what had happened and we cried on the phone together as I relived our nightmare. Jo lives far away from us, but told me that she was going to be in Sydney in a couple of weekends was it ok if she came over then with the kids, I was excited to see my friend…it had been too long since our last catch up. A couple of days after we arrived at Nelson’s Bay, Ryan’s parents texted Ryan saying that they would like to come up the next day, was that ok, of course we said yes, it was their house, not ours, and we thought that they might entertain Alethea while we ventured out for a meal together, we were also a little sad at the thought of them coming up, we felt like we were just becoming a family again, we had been whale watching, we’d played on the beaches, we had walked on the beaches and had begun to have fun as a family again, yes it was hard, yes there were very down times, but there were also fun and relaxing times, each night we had sat on the balcony overlooking the water and had a couple of drinks while sharing some lovely cheeses, we had bought Alethea Guess Who and had played it over and over, and she loved it and we loved playing with her, we had played ten pin bowling on the Wii (Alethea for the first time…and she beat me!) we were in family holiday mode and the next day that was to be over. Ryan’s parents arrived at night and Ryan’s dad arranged for him to play golf the next day. I thought this was a good idea, hitting a little white ball as far and hard as you can had to be therapeutic! After nearly a day of playing the boys returned exhausted. It was while the boys were out that I began to talk things through with Ryan’s mum, in my heart I knew that things hadn’t gone how they should have gone at the hospital, even though no one had said anything to us, I believed there was more to Liam’s death than him just dying, I couldn’t understand how a perfectly healthy baby boy would just die after labour. I called the hospital and arranged to meet with the medico legal person to read over my notes; I needed to know what had happened. I think we spent 2 nights with Ryan’s parents and then we decided it was time for us to go back home, although we were having fun family time, our grief was still very raw and it was very hard putting on a brave face all the time. On our return trip to Sydney I had slightly more conversation than on the way up, but still Liam consumed my every thought, and the silent tears were still streaming down my face…. Hi amanda, I have been following your posts for a while now.. I am so sad for you and your loss. I can relate all too well to all of your emotions, I lost my son when he was three years old. (he is the one in my profile pic). It is a very tough, hard road. It has been nine years for me now, but feels like yesterday in so many ways, like my life stopped when Sam died. but other times, i feel like it was all a dream. Thanks for your lovely words of advice and comfort, I am truly sorry that you lost your little boy, and I agree it often does feel like a dream, some sort of unreality that hasn’t happened, and then you realise that the world you once knew is a lot dimmer than before and that it isn’t a dream that this life is your reality…it is a very strange concept to grasp. Oh Amanda again so raw and beautiful. Thank you once agin for sharing your journey. And your daughter is just beautiful and it makes me smile when you write about her antics! Alethea is guaranteed to make me smile/laugh and shake my head at her antics everyday! Harmony, thanks for your lovely words, yes we finally have some answers, they are still coming in but we have some! Congratulations on graduating in a few weeks such a happy time in your life, I have very fond memories of my graduation. You are right, nothing will ever bring Liam back, but my next journey trying to get answers was something that I had to do for Liam, I felt I had to find out why things went so wrong to honour him…I thought it would make me feel ‘better’ and I sought with all my strength, we have some answers, and others are still in process, and I am still trying to work out how I feel about what we have been told, I thought I would feel relief and that a weight had been lifted and for 1 day I did…and then it was replaced with total devastation. But no one has yet answered the question that we have kept asking ‘what took so long’ no one has stepped up and given us the answer that we seek. I love your blog, and your poetry is lovely, very heartfelt. If you are looking for answers (if the UK is anything like Australia) be strong and be prepared to fight, answers don’t come quickly or easily, you need the strength to keep pursuing and not letting them brush you to the side. It took us 12 weeks to find out some answers and we are still sifting through total truths and getting different sides of stories…through it all we have pieced together what we think has happened, however it is difficult, people tell you the ‘truth’ but omit certain details that are crucial, and by doing this cause a little more confusion. Thanks for you lovely words. It is a nice thought that memories last forever, because although those days in hospital were absolutely horrible, I can smile when I remember his soft skin and his smell, it is bittersweet, I still long for one more cuddle, one more smell, one more touch but I know that will never come. It is very hard now for me to comprehend what my life would be like if he were alive, in my mind he is newborn, but if he were here today he would be 4 months on Friday and I can’t grasp that concept. I’ve been following your blog since the beginning and even though I only met you the once at the Mall just days before Liam was due, I feel like you are a friend as you have shared such intimate and deep feelings through your blog. My cousin lost her baby boy around the same time Liam passed. Kaiden passed away from SIDS at 12 weeks old on 23 June. My heart breaks for both of you every time I think of your loss. I hope you get some answers although it will be terrible to learn if this was a medical mistake. That will be even more heartbreaking if this was not meant to be! I think of you and your family often and I hope you are staying strong and getting through this tragedy day by day. That is so lovely for you to say. I feel devastated for your cousin, in my mind to lose Liam at birth is horrible, but to lose a baby at 12 weeks I think would be unbearable, as they have just started to develop their little personalities, they have smiled, giggled, nursed from you and you have your little everyday routines with them, and to have that taken from you would be devastating, they knew how good it was…and now he is gone, my love and prayers go out to them. Our little family is travelling along ok, we have good days and bad days but the good ones are starting to take over the bad ones, but when the bad ones hit…they are horrible. It’s times like these that the support from family and friends gives you the courage to go on. I do believe that you will meet again. I feel like I know you and wish I could do something to help you. You are right, I had some very amazing friends and family who gave me the strength to continue, they were there when I needed them the most, they never judged me, and they helped guide me to where I am today. I’ve been following your blog for the past few weeks and am amazed by yours and Ryan’s strength. Liam and Alethea are truly blessed to have such loving and brilliant parents. Your words are truly humbling. I can only imagine the pain you feel but I hope that sharing your beautiful son’s story has helped in some way and I thank you for letting us share it. You must be so proud that Liam’s story has travelled so far across the world (I’m reading from the UK). From one mother to another, I send you all my love and a thousand hugs. Yes I am very proud that Liam’s story has travelled across the world, his little life although only short has made an impact on people and I hope it has opened up what seems to be a very ‘taboo’ subject. All my life I have been an open book, what you see is what you get and I have never felt that anything is too private to share, but I do understand that for a lot of other mums and dads in our situation it is very hard to express what they are going through, so I hope that Liam’s story will help other families and friends have a better understanding of what we go through and how we feel. Thankyou for the lovely words that you have said to us and for following our journey. Thanks for your lovely comment. Your poor sister, I understand why she couldn’t let go, as a baby Liam looked perfect, he looked like there was nothing wrong with him, and I am sure it was the same for your sister. It was only that I had worked in the NICU, that I had seen this kind of thing happen that gave us the strength to cuddle him to sleep, if I didn’t have that background I would have believed that he would be ‘fine’ and I would have insisted that they continue resuscitating him, because he looked perfect. I’m sure your strength far outweighs mine…you have been through far more than I have, maybe you haven’t given yourself enough credit for how strong you actually are!! Amanda thank you so much for continuing to share your journey with us all. Please be proud of how brave you are for doing so. I wish I had a blog like this one to read when I was going through the roller coaster ride of losing Jacob. Just think of all the families you are helping by putting your story out there. They will know they are not alone in those emotions and that it is ok to have the highs even though you are grieving. It is a long and winding journey losing a child one that slowly but surely only by a second each day does it get easier. The sadder days slowly get more bare able and there will come one day when you think of Liam and smile and the next day you may cry cause you hadn’t cried the day before when you thought of him. This poem I found a few days after Jacob passed hit the nail on the head.